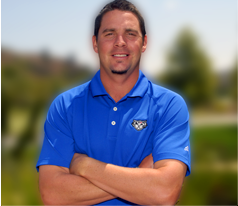 Arroyo Trabuco’s Michael Block will tee it up with the pros again at the PGA Championship (July 28-31) at Baltusrol CC in New Jersey. Block became one of 20 PGA club professionals to qualify after shooting 5-under in the qualifier. Block played the PGA Championship in 2014 at Valhalla CC in Louisville and shot nine-over to miss the cut. Baltusrol represents a long awaited shot at redemption for Block, who talks about his upcoming PGA appearance in this Q & A. How does your game now compare to 2014? I’d say it’s better. My all-around game is better, my swing is better and most importantly my mental game is better regarding large championships, such as a major. I’m definitely excited about the opportunity. Except for a few holes in 2014, you played OK. What did you learn from that experience? I played great for the most part but big numbers just dismantled my score. I made the turn on day one at even and then posted a triple bogey. I had it going again in the second round and then went double, double. It was plain and simple, the big numbers that led to missing the cut. It’s so hard to make birdies in a major which makes a double or triple bogey a killer. How do you avoid that this time? I have to be OK with bogey. I felt like I pushed myself too much the first time and you can’t take those risky shots at a major. What do you know about Baltusrol? It has hosted seven U.S. Opens. Are you expecting it to play like an Open? You’ve gotta hit the fairway there, but the good news for me is that I’m striping it off the tee right now and you can really get a lot of run in the fairways there. Have you made any changes to your bag? I adjusted my 3 wood and added in a driving iron to help me hit more fairways. You’re in Mission Viejo, CA, while the tour pros have been in Scotland at the Open. How is your prep different? Any advantages? I’m out giving lessons and they’re playing in major. That’s a definite advantage for them, but at the same time, they’re across the pond and having to fly back and forth. And some of them are going to the Canadian Open before Baltusrol. I don’t have the travel so I’m able to work on my game. But I’d still rather be playing the British Open. What was a highlight of 2014? Without a doubt, it was playing the first two rounds with Colin Montgomerie. He has been an idol of mine all my life and to play with him and talk to him was a thrill. He was very cordial and I talked to him the whole time. Another experience I’ll never forget is being in the players’ lounge with my son and Jordan Spieth and Rickie Fowler were next to us. Having my son, Dylan (now 11), see all those things got him interested in the game. What are your expectations and goals for Baltusrol? Last year was the first time in, I believe, 9 years that a club professional had made the cut in the PGA Championship. I definitely have making the cut as a must this year and I’m looking to finish in the top 25. Being able to be the low club pro and to accept that trophy and the awards ceremony with the winner of the PGA Championship would be off the charts. What does your travel party look like? I’ve got family, friends and a few relatives coming along. It’s around 15 people. We’re the Block party. We had fun in Louisville, and it’s a lot of fun having people follow you, and the support definitely helps, especially at a major. Michael Block was recently featured in Southland Golf Magazine in the article, OC club pro embracing his major moment. Read the Article, click here. Posted in Arroyo Trabuco Golf Club, Michael Block.